I have a number of events lined up for this fall, to coincide with the early September release of The Allergy-Free Pantry. If you are able to join me at one of these events you can be among the first to get a signed copy of the new book, or just stop by and say hi! 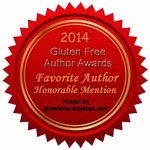 There are two Gluten-Free and Allergen-Expo’s in the Northeast where I will be at the author table. On Saturday, September 6th I’ll be at the Meadowlands Exposition Center in Secaucus, NJ and on Saturday, Oct 25th and Sunday, October 26th I’ll be at the Mass Mutual Center in Springfield, MA. The events run from 9:00 am to 3:00 pm. 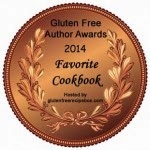 This is a great event to find and sample new gluten-free and allergy-friendly foods. On Sunday September 7th from 10:00 am to1:00 pm) I’ll be signing books at the Kids with Food Allergies Strides for Safe Kids mall walk and fundraiser in Plymouth Meeting, PA. This is Kids with Food Allergies primary fundraiser for the year; even if you can’t make the event, I’d love for you to join my virtual walk team. On Sunday September 14th from 9:00 am to 12:00 pm I’ll be signing books at the North Jersey Food Allergy Conference, at the Saddle Brook Marriott in Saddle Brook, NJ. This is the first year for this event that should prove to be very beneficial to the community. 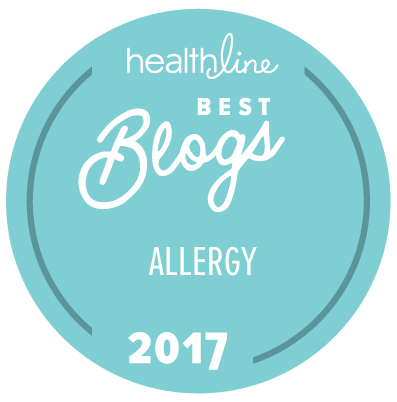 I’ll be at the Food Allergy Bloggers Conference at the South Point Hotel in Las Vegas on Saturday Sept 27th and Sunday Sept 28th. This is the second year this event is being held, and it would be an understatement to say that I am truly looking forward to it. On Saturday morning I’ll be joined by Selena Bluntzer to host a hand-on photography session we are calling “Put Your Best Food Photo Forward”. Saturday night I’ll be signing books at the Wine and Sign Party, and on Sunday, I’ll be sharing the stage with Debbie Adler (of Sweet Debbie’s Org….) and Charissa Luke (Zest Bakery) to talk about Recipe Substitutions. If you are in New York State, I have two library events scheduled; I’ll be at the East Fishkill Library on Thursday, October 9th at 7:00 pm and at the Guilderland Library in Albany, NY on Saturday, November 8th at 1:00 pm. Both appearances will feature a demo and book signing. The Allergy Eats Conference for Restaurateurs and Food Service Professionals moves to New York this year, and I am honored to be speaking alongside Lori Sandler (from Divvies Bakery) and Beth Hillson (from Gluten-Free and More Magazine) at the Radisson Martinique on Tuesday October 21st. The event starts at 8:00 am. Whew! By the time Thanksgiving rolls around I think I’ll be ready for a vacation! Homa, I've got my pens all ready to sign!